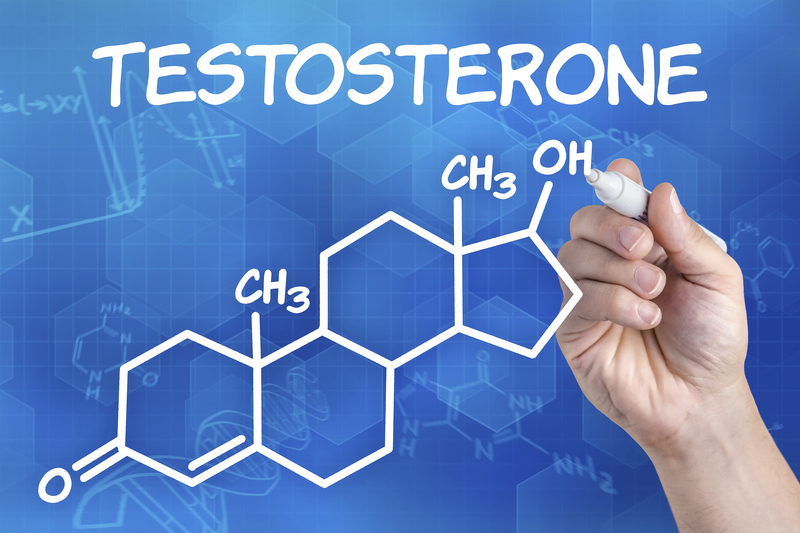 In 2010 The New England Journal of Medicine published the results of a study on the effects of testosterone therapy. More than two hundred men with a mean age of seventy-four were studied over a six-month period. In the study the group undergoing testosterone replacement therapy had higher rates of dermatological, respiratory, and cardiac events that the group receiving a placebo. The study revealed that twenty-three men receiving testosterone had “cardiovascular-related adverse events” compared with five in the placebo group. This is a remarkable result: those men receiving testosterone were almost five times more likely to suffer a heart attack or other heart issue than were the men taking sugar pills. The findings were so alarming that the study had to be terminated early, most likely because it would have been unethical to keep having men take testosterone with such an elevated potential for heart attacks and other health problems. Other troubling symptoms of testosterone have been reported. Beyond the increased risk of heart attacks and strokes (which is enough! ), studies have shown development of blood clots, growth of male breasts, skin irritations, sexual dysfunction, increased urination, and anxiety, paranoia, and depression. Apparently the roll-on gel is also transferable to other people. There have been reports that the wives of men undergoing TRT would grow excess facial hair. This “second-hand” testosterone therapy could also cause wives to develop deeper voices, grow hair on other body parts, and even make them more anxious and irritable. Exposure to testosterone can cause children to begin puberty early and can also increase aggression. There have even been reports that exposure to testosterone gels can cause enlarged genitalia in pets. I’m not making this up. If you were moved by the promise of more energy and sexual virility in the testosterone commercials from a few years ago (and it’s easy to see how you would be), you may not have caught the potential side-effects mentioned quickly at the end of the commercial. The advertisements did run through a list of adverse side effects, but the goal was not to discourage you from TRT but to encourage you to “cure” your low libido. In January 2014 the Food and Drug Administration issued a warning about the cardiovascular risks of testosterone replacement therapy. It referenced a study published in November 2013 by the Journal of the American Medical Association (JAMA). This study revealed a 30 percent increased risk of heart attack, stroke, and even death in the group that had received testosterone therapy. The FDA noted that none of the FDA approved testosterone products in the marketplace are approved for use in men with Low-T but who lack an associated medical condition. And that seems to be the big distinction and where the marketing for testosterone therapy ran amok: many men appear to have been prescribed the drug simply after blood work revealed lower levels of testosterone. The key was to have Low-T and other measurable health problems, such as sexual dysfunction or other medical condition directly attributable to Low-T. In a September 2014 hearing, an FDA advisory panel voted to require revisions to the labels of testosterone drugs. The revision would emphasize that the product should be prescribed only to those men suffering from serious testosterone deficiencies, and not to men who are dealing with the normal decrease of hormone levels that occur with the aging process. The panel also noted that recent studies showing an increase in heart attacks and strokes among some users of testosterone should induce those drug companies to conduct further studies on the risks of TRT. Be extremely cautious about using testosterone replacement products. Although Low-T is real, it is not as common as drug companies would have had us believe. Make sure there are not other ways to boost testosterone levels (such as weight loss, exercise, more sleep), before engaging in testosterone replacement therapy. The risks are too great not to be skeptical of TRT.